NORMAN Mapeza's future at FC Platinum is reportedly hanging by a thread after it emerged yesterday that the bullish coach manhandled club chairman Evans Mtombeni last Friday ahead of their clash against Triangle. 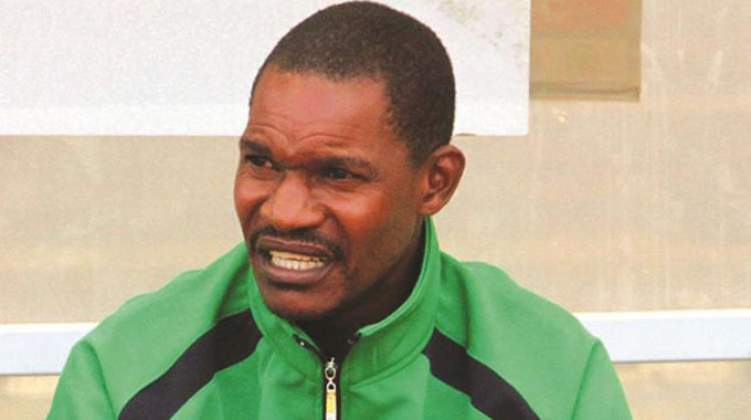 Reports from Zvishavane indicate that the reverred gaffer failed to keep his cool after Mtombeni suggested that Mapeza had influenced players to boycott training over unpaid dues. Mapeza is said to have pounced on Mtombeni and had to be restrained by other members of his technical team. This, however, is not the first time that Mapeza has been involved in a physical confrontation with a colleague. In December last year when the platinum miners made a triumphal entry into the group stages of the Confederation of African Football (Caf) Champions League after dismissing Congolese side AS Otoho, the celebratory mood was dampened when Mapeza assaulted team vice-captain Gift Bello in the full glare of the public, Zifa and Caf officials. Club spokesperson Chido Chizondo tried to pour water on the latest scuffle, though admitting that there had been a clash between the two parties. "There was no big altercation. It was a closed-door meeting between the club executive and the technical team. However, everything is now under control," she said. Mapeza presided over a sweet homecoming party as they triumphed 2-1 over Triangle.